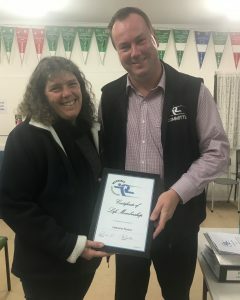 WLAC would like to congratulate Leanne Ryan for being awarded our Centre’s highest accolade in becoming our latest Life Member. Leanne has been involved at WLAC since the 1999/2000 season, and has been involved in roles such as Treasurer, Championships Team Manager, Relays Coach and many more. Leanne is still actively involves in Little Athletics even though her children have finished at the Centre.